This week saw the conclusion of the first series of Inside No. 9, a darkly comic horror anthology series written by (and occasionally starring) Reece Shearsmith and Steve Pemberton. Each episode was set in a single, unrelated location (either a house, flat, or dressing room, all numbered “9”), with a new cast of characters and a new mystery to unpack each week. I can’t say every episode really “clicked” with me… sometimes the more obvious jokes clashed with, or seriously undermined, the creepiness and suspense that was building… but I still admire the creativity and chutzpah involved. 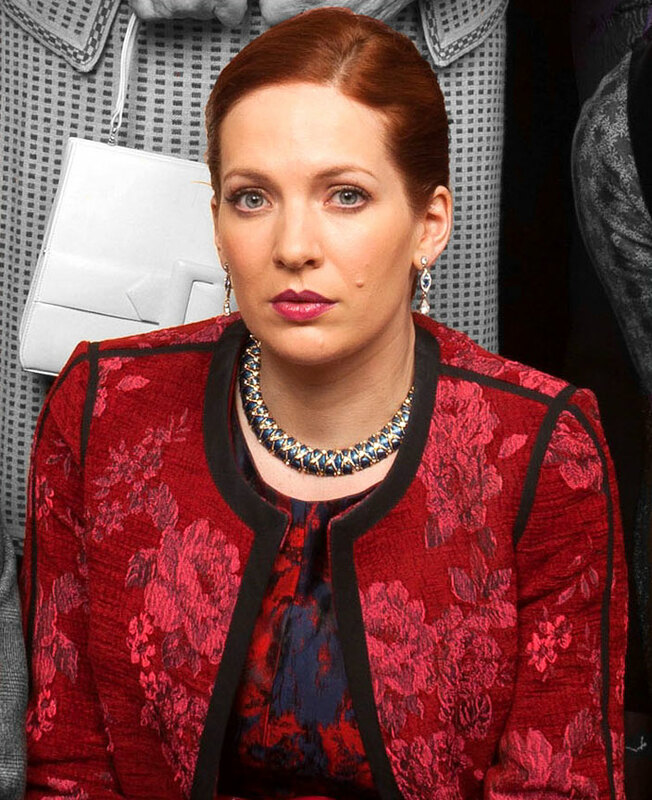 If forced to choose, I’d say my fave episodes were the two that bookended the series: In the premiere, “Sardines”, Katherine Parkinson stars as the slightly snobby female half of a newly engaged couple, whose favourite party game is spoiled by the motley assortment of guests involved (including a slightly dotty domestic played by Anne Reid, the disinterested wife of a work colleague played by Anna Chancellor, and a ditzy dolly played by Ophelia Lovibond). I watched the ep again last night, to see if it was as good as I remembered, and it’s actually even better the second time around, when you know how it’s going to end, and can watch out for all the subtle clues along the way (and top marks to Tim Key for his performance as the overbearing IT nerd, ‘Ian’). 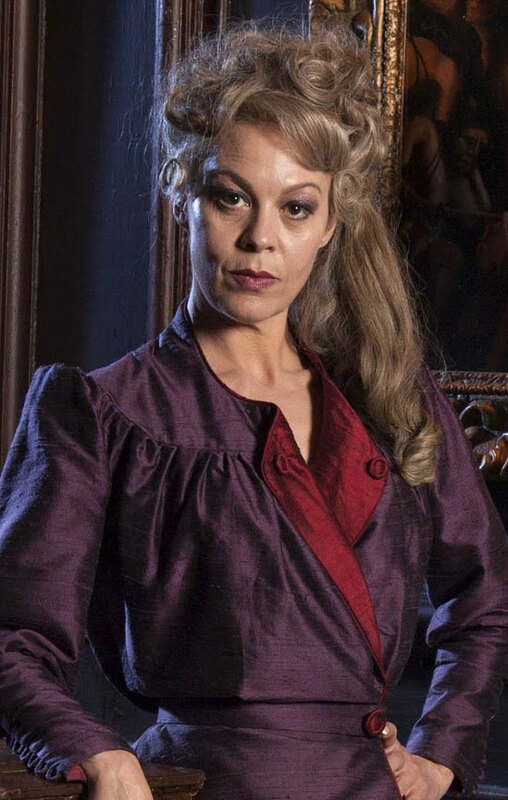 Second place goes to the finale, “The Harrowing”, featuring Helen McCrory as the glamorous owner of a gothic mansion, who hires a teenage girl (Aimee-Ffion Edwards) to house-sit for her, with the assurance that her disfigured and disabled older brother is confined to a bedroom upstairs, and definitely definitely won’t be requiring the girl’s assistance at any point during the evening. Yeahhh, right. SLIGHT SPOILER: The high-point for me was the way McCrory reacted when she was shot with a taser… though there’s plenty else to enjoy besides that. To be fair, the in-between eps were pretty entertaining too, and boasted cameos by the likes of Oona Chaplin (#1.2, “A Quiet Night In”), Gemma Arterton (#1.3, “Tom & Gerri”), Sophie Thompson, Tamsin Greig (#1.4, “Last Gasp”), Lyndsey Marshal, Rosie Cavaliero, and Julia Davis (#1.5, “The Understudy”)… so, you can’t say they didn’t make the effort, casting-wise! This entry was posted in Rants about TV and tagged Aimee-Ffion Edwards, Anna Chancellor, Anne Reid, Gemma Arterton, Gothiness, Helen McCrory, Julia Davis, Katherine Parkinson, Lyndsey Marshal, Oona Chaplin, Ophelia Lovibond, Rosie Cavaliero, Sophie Thompson, Tamsin Greig. Bookmark the permalink.